PRO’s Joe Fletcher was recognized in the annual CONCACAF awards by finishing as runner-up in the Male Referee of the Year category. The Canadian assistant came second to Mexican referee César Arturo Ramos, while referee Joel Aguilar of El Salvador was voted third. Fletcher enjoyed a stand-out 2016, receiving assignments in the Champions League, World Cup Qualifying, MLS Regular Season, MLS Playoffs and the Copa America Centenario. 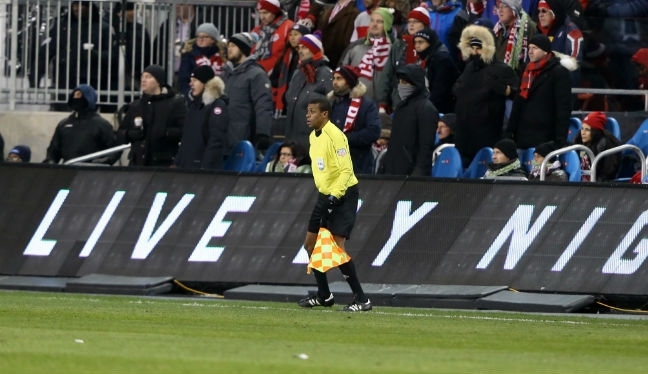 He was also given the flag for December’s MLS Cup, assigned as AR2 for Toronto FC versus Seattle Sounders at BMO Field, and will continue to serve on the FIFA panel in 2017. The PRO official’s compatriot, Carol Anne Chenard, received the Female Referee of the Year award, while the Canadian Women’s National Team and Head Coach John Herdman were presented with the Outstanding Performance award. Other award winners included Bryan Ruiz and Alex Morgan, who were voted as the 2016 CONCACAF Male and Female Players of the Year respectively. Winners in other categories are: Goalkeepers of the Year – Keylor Navas and Ashlyn Harris; Coaches of the Year – Óscar Ramírez and Amelia Valverde; and Goal of the Year – Jesús Corona, in the 80th minute of the Copa America Centenario match versus Venezuela. The CONCACAF Awards are designed to honor the year’s outstanding performers and achievements in confederation-sanctioned competitions involving national teams at all levels and age categories, including FIFA World Cup matches and qualifying for both genders. Performances also eligible for recognition included those achieved in professional club football leagues within the CONCACAF Member Associations, as well as the CONCACAF Champions League. The votes of three important stake-holding segments within the Confederation were counted in compiling the results. Member Associations’ national team coaches and captains (women’s and men’s), accredited media and fans each accounted for one third of the final vote.